BUENOS AIRES/LONDON (Reuters) - Top U.S. grain merchant Archer Daniels Midland Co has approached Argentine soy crusher Molinos Agro about buying the company's livestock feed and soyoil manufacturing plant, and talks may continue, three sources said. A spokesman for the Perez Companc business group, which controls Molinos Agro, said the company had been approached "several times" by potential buyers. Without mentioning ADM in particular, the spokesman said "the offers were rejected." It was unclear how much Molinos, controlled by the Perez Companc business group, was valued at during the negotiations. "ADM backed off because of the asking price," the Buenos Aires-based industry source said. "There were differences in the valuation of the company. But it is logical that ADM could be back knocking on the door of Molinos." The Argentine company reported 665.9 million pesos ($18.5 million) in net earnings for the April through September period. Company results could be pressured by tensions over global trade policy in the months ahead, the source said. "Next year will be a great year for buying soy crushing companies in Argentina, and a bad year for selling them," the source added. Argentine crushers are working at about half capacity while U.S. crushers are reaping the benefits of low soy prices after China slapped a 25-percent import tariff on U.S. beans. The Perez Companc group has taken a "conservative" stance toward ADM's overtures and has shown no eagerness to sell, the source said. Two separate international industry sources with knowledge of the situation said exploratory talks between ADM and Molinos had taken place this year. "Argentina is a key focus for ADM and they need assets there," one said. "ADM will seek to take advantage of its strong position by taking over a major Argentine crushing operation that is being squeezed by the trade war," another added. An ADM-Molinos combination would be in line with recent consolidation of the sector which has wrestled with a global oversupply of grains and oilseeds. The escalating trade war between the U.S. and China has reordered trade flows across the global grains sector, affecting companies like ADM, Bunge, Cargill Inc and Louis Dreyfus Co, which together are known as the “ABCDs” and dominate the industry. The trade policy dispute between the world's two largest economies has driven down U.S. soybean prices, which in turn has helped fuel profits for U.S. soybean processors. 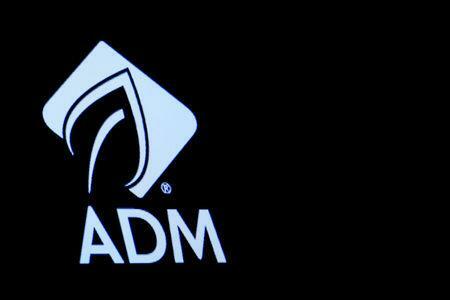 ADM reported a higher-than-expected quarterly profit this week, cashing in on strong oilseed crushing margins. ADM is the only one of the "ABCDs" that has no crushing capacity in Argentina. The company's chief financial offer Ray Young said this week the group may look at mergers and acquisitions in general if a deal made sense. ADM earlier this year made a takeover approach for Bunge. Crushing plants that dot the banks of the Parana River, Argentina's main grains thoroughfare, are seeking to revive their business with a deal that would permit them for the first time to export soymeal livestock feed to China. China generally imports beans to be crushed on the mainland, but with trade tension rising with Washington, Beijing may want to lock in alternative supplies. The U.S.-China conflict, which has shifted global commodity trade routes and distorted prices, is not the only factor ailing Argentine crushers. Earlier this year the sector was hit by a drought on the Pampas farm belt that shriveled soybean supplies. But over the long-term, with demand growing for soymeal feed needed for China's massive pork sector, soy crushing along the Parana may thrive again. Argentina is the world's top exporter of soymeal and soyoil, used for cooking and making biodiesel. The nation's massive soy crushers and grains elevators are sandwiched between the Pampas and the deeply dredged Parana. The set-up offers logistical advantages over main competitors Brazil and the United States, where moving grains involves more costly ground transportation and loading products on and off barges. Molinos was formed in 1902 as a unit of Bunge. It was sold to the Perez Companc group in 1999. The company's main crushing facility is in San Lorenzo, on the Parana. It has a nominal crushing capacity of 20,000 tonnes of soy per day.